Full disclosure, I am a huge fan of Oprah Winfrey. Being that she is a billionaire, head of a media empire, beloved the world over, and is visibly unapologetic regarding the decisions she has made for herself personally and professionally, I consider her a role model for the ages. I look at her and see all that is possible for myself as an entrepreneurially minded black woman. Attending her Life You Want Weekend was a dream come true for me and probably every person in the 10,000 seat Houston Toyota Center arena over the weekend. From the moment you walked into the space, you are enveloped in an energy of hope, love, and expectation. The weekend was, as I would describe it, a live mix of Master Class, Lifeclass, and Super Soul Sunday, each an incredibly popular show on OWN Network. Winfrey herself, in a breathtaking sunflower yellow dress, took the stage on night one sharing her life story and journey to purpose. The next day’s agenda was chock full of Oprah all-stars from bestselling author Elizabeth Gilbert, spiritual teacher Deepak Chopra, former pastor and author Rob Bell, and, of course, Iyanla Fix My Life star Iyanla Vanzant. Each came to the stage with great wisdom to share and each left us inspired to get to work. I walked away from the weekend with a better understanding of myself and, more importantly, the barriers I was allowing to block my progress. 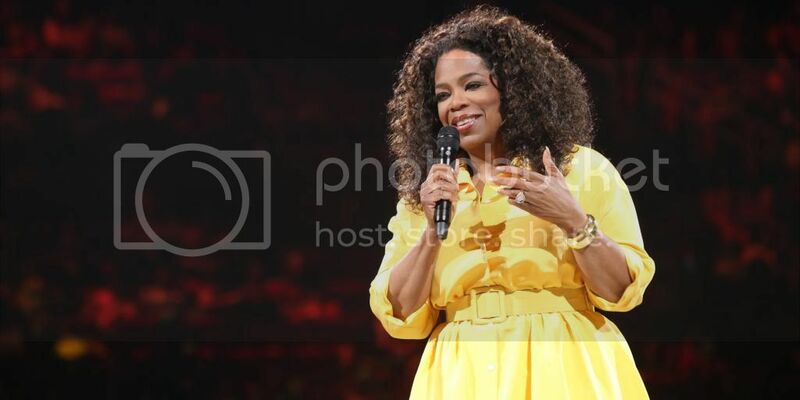 Here are seven takeaways from Oprah’s Life You Want Weekend that have jump start my journey to purpose. You must be still in order to hear. Our world moves so fast and we have more than enough social media to stay distracted, but if you want to plug into your purpose, you must get quiet. Find a place in your home, like a reading nook, or outside the home, like a favorite park bench, to unplug and decompress. Only in silence can the still small voice be heard. Follow the signs and go with the flow. Many people have no idea what they want, but, believe it or not, life is trying to tell them. You know that feeling of dread that wells up when you drive to work, or that surge of joy when you are spending the afternoon doing something you love? Those are the moments where life is telling you where you belong. It is your job to listen and surrender to the possibilities. Intention is everything, use what you have in service of others. They say karma comes back to you, but intention is what sets the karma. If your intention is to provide to those in need, then the energy coming back will be one of provision. If your intention is based in jealousy or bitterness, then that same negativity will come back hard. Acknowledge that only you are all responsible for our emotions. Life can throw some serious curve balls and, in many cases, we have no control over our circumstance. But, we always have control over our response. If you concentrate on you, which is the only thing you can change, then you will undoubtedly come to the end of your trial with your peace and joy in tack. You do not have to attend every conflict you are invited to. Too often do we enter into situations because of people pleasing. We know we want to say no to that offer or that request, but we say yes to stay in other’s good graces. We don’t want them to think we are mean, flaky, or selfish, but we end up resentful, angry, and hating every moment. Instead, be brave enough to say how you really feel and dedicate yourself only to the things of YOUR heart. Remember the mountains build you up, not the valleys. When people talk about the moments in their lives that changed them for the better, they never recall the easy times. Most think on the great trials that pressed them on all sides. We subliminally understand that it is through pressure that diamonds are made, so do not be afraid of the tough times. Whatever happened to you, has also happened for you. If you want joy and peace in the midst of trial, you must release control and accept things as they are right now. Not only must you accept your current situation, but you must express gratitude as well, which may seem impossible. Gratitude shapes your view of the world around you. If you concentrate on what is right about life, you spend less time and energy worrying about the wrong. Cherise Luter is a freelance writer and media producer. Find her here.